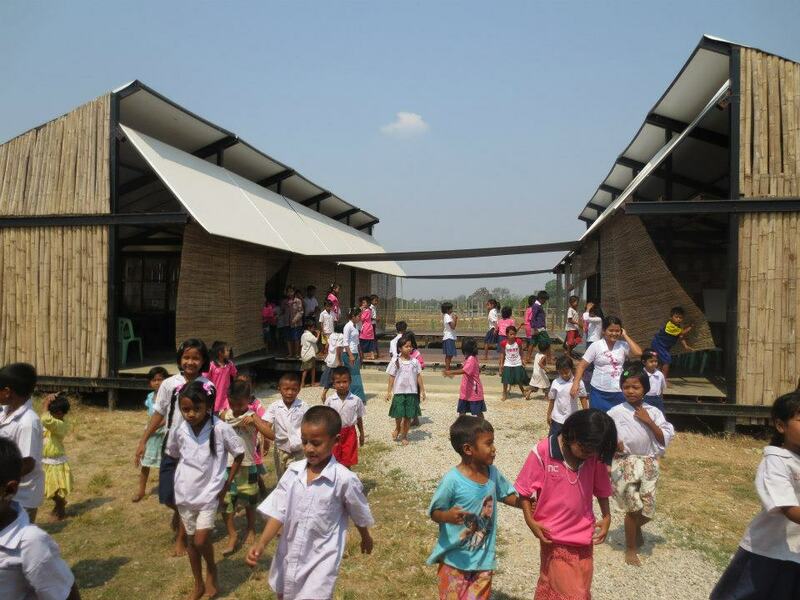 After completing one side of the school building with the roofing system in place we knew it would not be too long before the whole school build was complete. 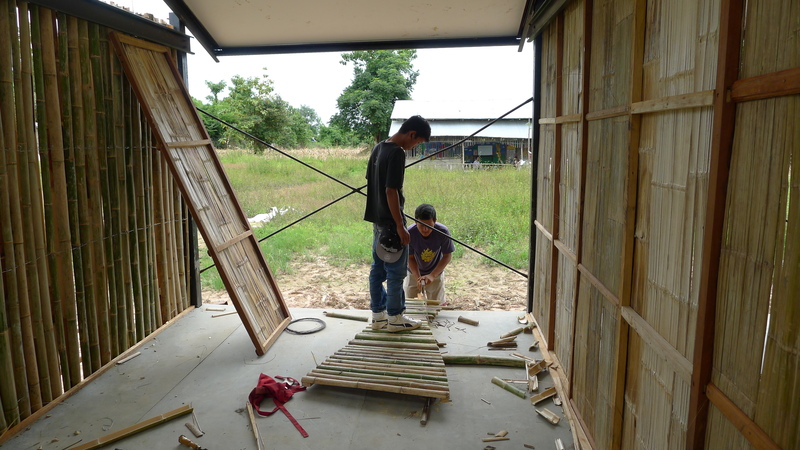 As the apprentices spent their days dodging the rain and lifting the final set of roofing pieces into place now it was time to lay all the floor boards and fit the bamboo wall panels into place. The wall panels will section of classroom areas within the school building providing the students and teachers with much needed space to teach individual classes. 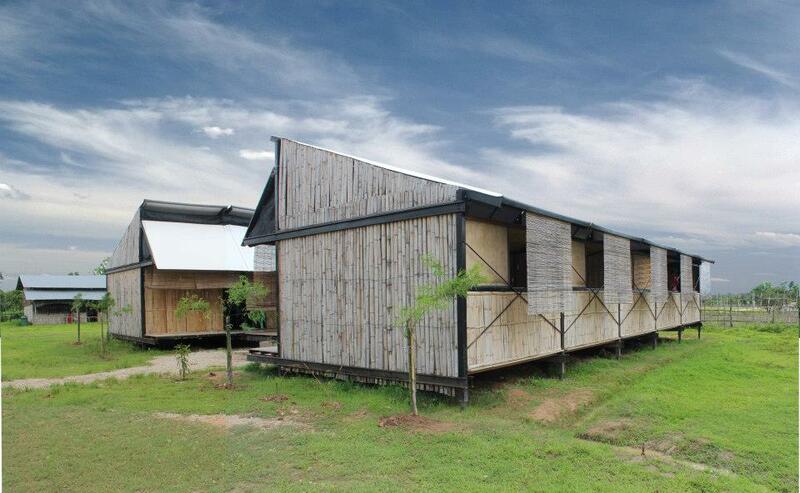 On the front section of the classrooms we decided to add a full bamboo wall to give the greatest protection from wind and rain to the classrooms. 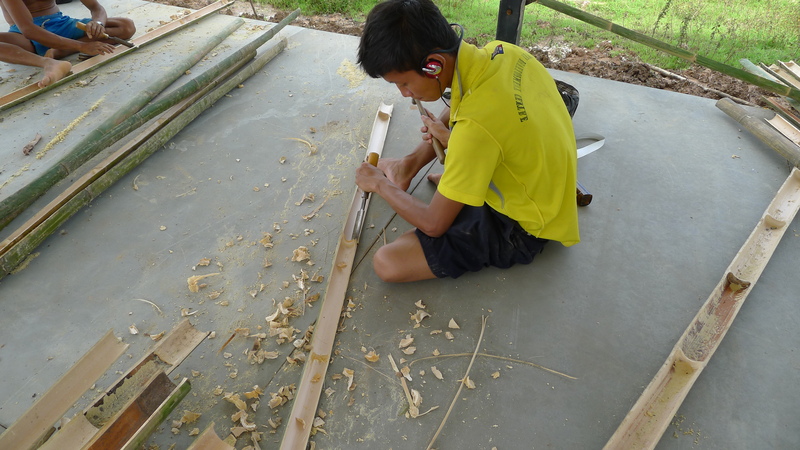 The apprentices carefully cut bamboo in long sections to slot in place to the shape of the steel classroom frames. First the bamboo had to be cut and the insides removed to create a strong wall to provide the needed protection. Finally after 3 months of hard work and with a fantastic team of apprentices, local social enterprises and non profits, international volunteers, school teachers, TKHS students and their parents help the new school was finished. I am very happy to share with you below some exciting photos of the finished build. We are very excited to announce that students will be starting their new term on Monday 5th November – I look forward to sharing with you photos of the kids from TKHS in their new school classrooms! So keep reading….